Mayhem Studios, award-winning design firm is recognized for its graphic design excellence. The Studios' works featured in David E. Carter's next book, Creativity Awards 36, released Summer of 2007 by Harper Collins. 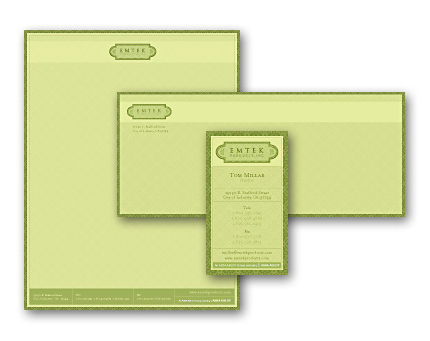 Two of the Studios' works, Family Medical Clinic Banner and ET Product Stationery Design are among the winning entries featured in the Annual. This year’s quality was unprecedented, the Studios entries were chosen among the submissions from over 38 states and 29 countries. The Creativity Awards competition honors outstanding work done each year by creative professionals in every discipline. Awards are based strictly on the quality of the submissions, not the size, nor reputation of the firm.